When we’re between seasons, we like to keep our skincare simple. It’s a fickle transition—we’re getting both rainy, 40-degree days and gorgeous 90-degree weather within the course of one week—where it doesn’t feel quite like spring, but it’s also definitely not summer yet. All those ups and downs in climate are sure to confuse and drive your skin crazy. Enzyme Cleansing Gel. When in doubt, reach for the Enzyme Cleansing Gel. It’s gentle on skin and tough on grime (thanks to its exfoliating AHA formula), which means every complexion is left refreshed. Cleanse with it first thing in the morning as a pick-me-up for tired skin, and use it again at night to thoroughly cleanse a day’s worth of pore-clogging buildup. Special Cucumber Lotion. 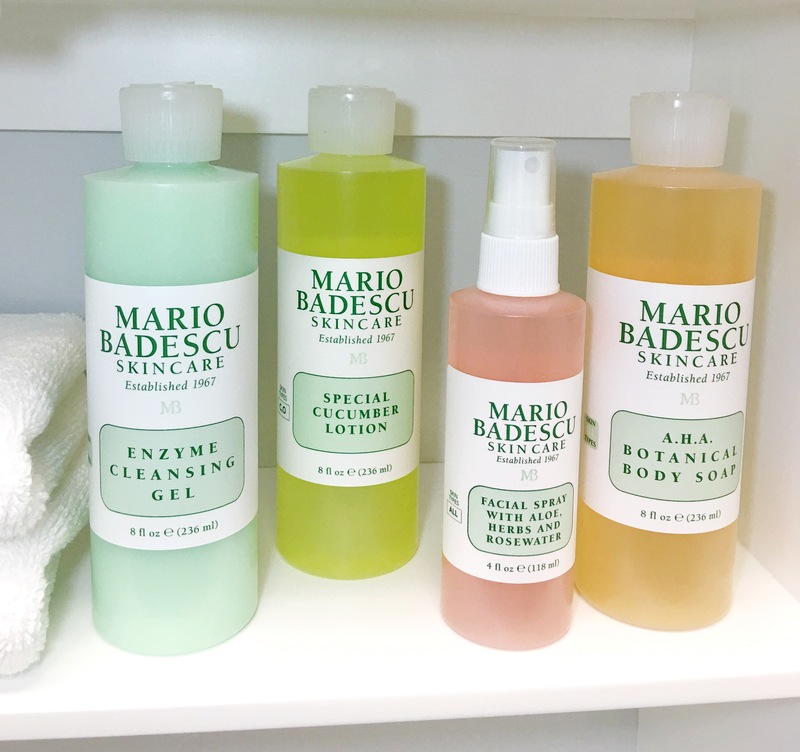 We’re keeping most of our skincare the same as last month, but we’re swapping out our beloved Cucumber Cleansing Lotion for a toner that’s a step up. Cue the Special Cucumber Lotion, a Cucumber-infused astringent with a kick. It’s clarifying—making it perfect for oilier skin types who experience breakouts every so often—and helps control excess T-zone shine. Facial Spray with Aloe, Herbs, and Rosewater. Yes, this is a fresh bottle on our shelves. Of course we go through it like water—especially now that we’ve started spritzing it on our hands, too. A.H.A. Botanical Body Soap. This is a must-have for glowing skin from head to toe. It’s formulated with exfoliating AHAs and fruit enzymes that help refresh skin and keep your skin looking clear and healthy just in time for those beach days.